Making personal overseas money transfers does not have to be a troublesome, time consuming or potentially risky endeavour. Your personal currency expert at Hawk FX will ensure your overseas transfer is straight-forward and hassle-free . 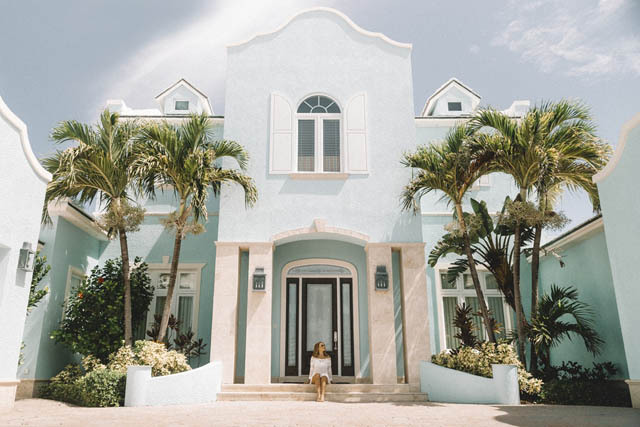 Whether you are emigrating, buying a property overseas, or simply need to make a quick overseas payment, your dedicated currency expert will guide you to ensure that you get the most for your money. We deliver great exchange rates and no fees, so the price we quote is the price you pay. A personal currency expert will understand in detail what you need to achieve and will deliver jargon-free, expert guidance every step of the way. Chat with us and find out the best approach to take with your overseas property. A Currency Expert based in the UK will work with you to establish an international money transfer strategy that will save you time, money and hassle. Whether it is sending an urgent international payment or a series of payments, Hawk FX can help you save money. 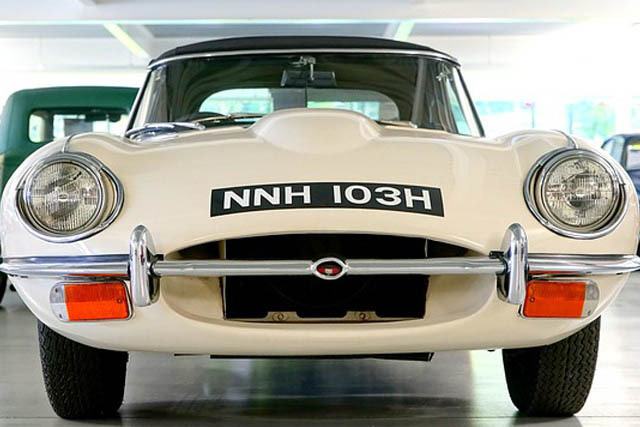 Complete the online form or call us +44 (0)330 380 30 30. We regularly compare our exchange rates against the main high street banks to ensure we are competitive. 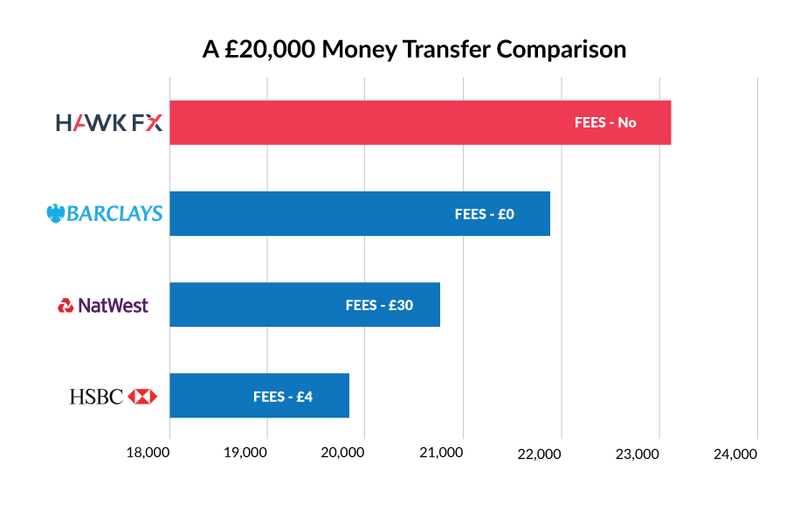 Take a look at the difference between us and the high street banks when making a £20,000 international money transfer. *The exchange rates used for this comparison were obtained online on Monday 6 November 2017 and are based on an international money transfer of £20,000 to euros. Occasionally charges may be applied by a third party bank when transferring the funds to Hawk FX or before the funds arrive in the recipient account. 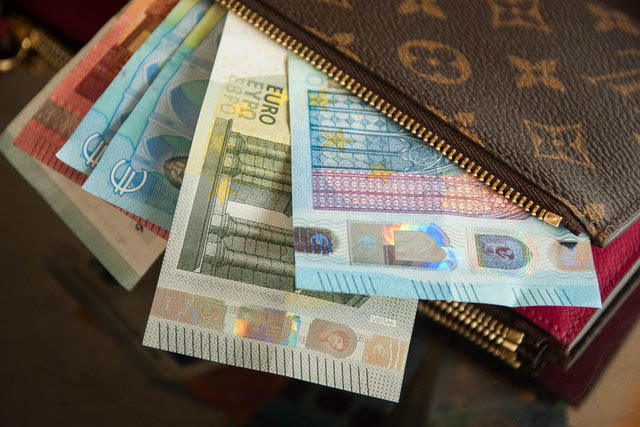 To find out how we can help you save money on your international money transfers, simply register with us and your personal Currency Expert will guide you through the whole process. The reasons clients use our service vary greatly. However, with each requirement, a Currency Expert will provide jargon-free guidance to ensure the whole process is easy, hassle-free and saves you money. Some of the most common reasons for using our expert services are listed below, click on your reason for making an international money transfer and find out how we can help you. When buying, selling or making maintenance payments on your overseas property, specialist help is essential. 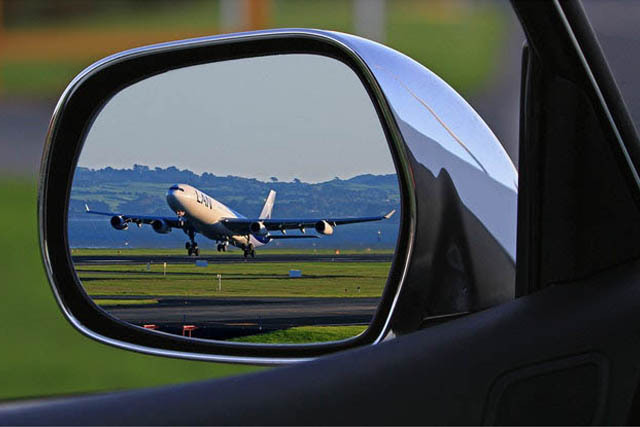 Emigrating or moving overseas, we will help you begin a new life with the best possible start. Retiring abroad? 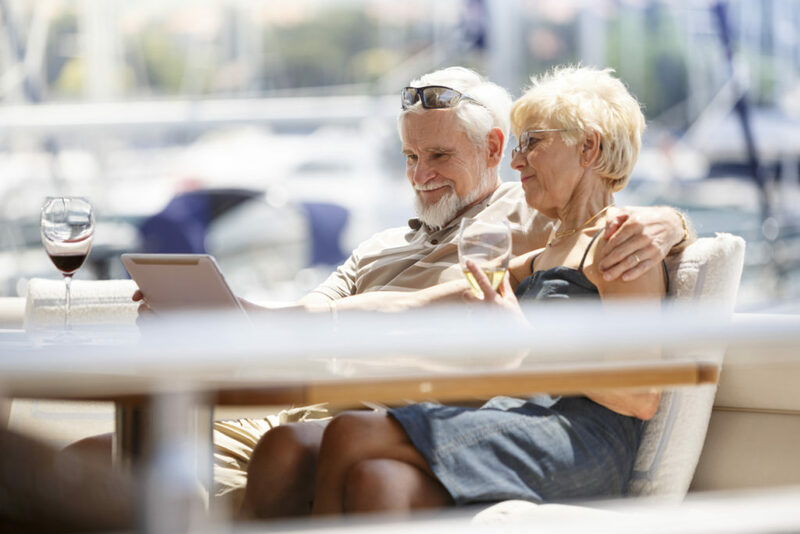 We will maximise the amount you receive on your international pension transfers. Many forget to consider the impact of exchange rates, when calculating the return on their overseas investments. 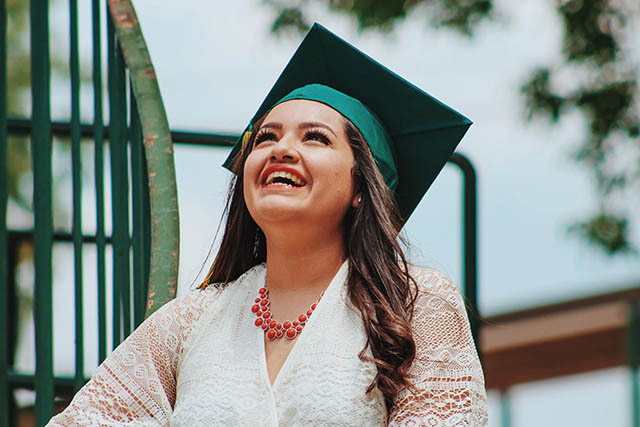 To save money on your overseas tuition fees and living expenses, it is important you start planning early. Boat, plane, jewellery or art. Whatever you are purchasing, using a High Street Bank for your transfer will cost more. We have helped clients successfully make international money transfers for plenty more reasons than the ones listed above. If none of the above cover what you have in mind, simply call us and a Currency Expert will talk you through our other currency solutions. Online and over the phone, we will ensure your transfers are efficiently and securely completed in just three simple steps. Open an account in a couple of minutes. A Currency Expert will help you decide on the best solution for your requirements. Send us the funds by bank transfer. Once received they are converted and dispatched. Working out what is the best way to make an international money transfer can be daunting – industry jargon, keeping up-to-date with what’s impacting or likely to influence currency markets, and do not forget regulations and country laws.